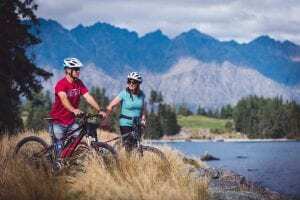 • 16 km of gorgeous lakeside mountain biking. • Be independent. Ride at your pace. • Ride the trail one way only! • Shuttle to start and get all the information you need to maximise your experience. 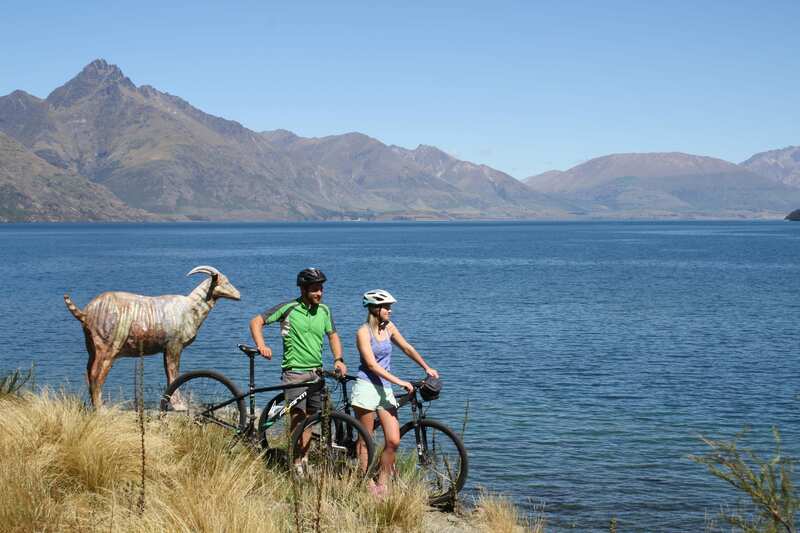 Shuttle with us to Kelvin Heights and then ride the shore of Lake Wakatipu for roughly 2 hours back into Queenstown. 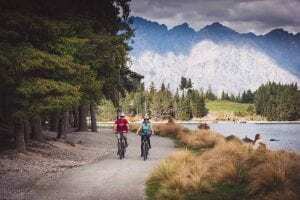 This section is easy riding and very scenic – the perfect combo! 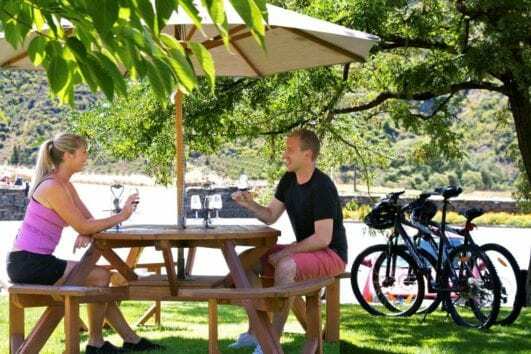 Enjoy the cafe stops on the way. DEPARTURE TIME Please arrive by 8:45 AM for a prompt departure at 9:00 AM. 12:45 PM for a prompt departure at 1:00 PM.